Legendary designer and author to speak at MCAD. Above: Laurie Haycock-Makela’s event poster. The MCAD community is thrilled to be welcoming Laurie to our campus for an evening lecture at 7:30PM on March 28, 2013. The lecture will detail the work of P. Scott Makela and offers a unique opportunity to revisit an important and exciting time in American Graphic Design history. The lecture is free and open to the public, all are welcome! Please feel free to RSVP via our Facebook Event Page and we look forward to welcoming you. Laurie Haycock-Makela has been a recognized voice of experimental graphic and transdisciplinary design practice and education for over thirty years in the United States and Europe. Most recently, Haycock-Makela co-founded Madeinthoughtspace to pursue a collaborative, creative design consultancy. Her studio with the late P. Scott Makela, Words and Pictures for Business and Culture, produced print and new media for clients such as Nike, MTV, Kodak, and Warner Brothers Records. They published a book with Lewis Blackwell called Where Is Here, they were included in the National Design Triennial at the Cooper-Hewitt Smithsonian in New York, and in 2000 they were awarded the AIGA Medal for ten years of innovative work. 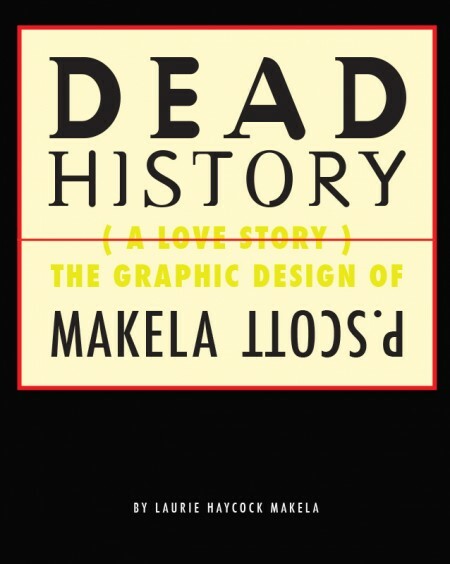 Haycock-Makela has taught at many prestigious institutions, including the Cranbook Academy of Art, the Art Center College of Design in Los Angeles, the Konstfack University of Art and Design in Stockholm, and ZKM/HfG in Karlsruhe, Germany. She was also the design director at the Walker Art Center. Walker, her 1995 typography and branding project with Matthew Carter, was included in the design collection at MOMA in 2011. This entry was posted by Erik Brandt on Thursday, March 21st, 2013 at 12:31 PM	and is filed under Aktuell, Education, Free Radicals, Geotypografika, Globalization, Graphic Design, Illustration, International, Internet, MCAD, Minneapolis, Musica Viva, News Links, Typografika, Typography, Unreasoned Love.